While we were stuck at Keadby due to the high winds BW decided to move Swinton to the other side of the canal. 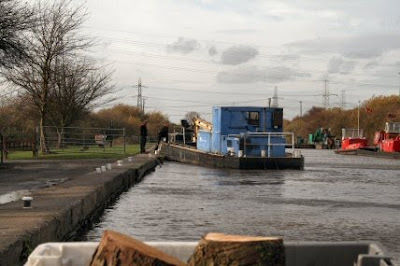 They had some difficulty to get it off the mooring with the wind blowing it back on. 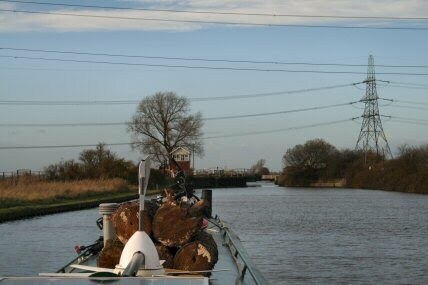 Just to prove the point they then had trouble mooring alongside as the wind kept blowing them off the mooring. Still today is the day that the wind dropped a little and Tim and I decided to give it a try. Easy enough to get away with wind still blowing across. As soon as you leave Keadby you come to the Vason Railway Bridge. There are only - or there were - three bridges of this type. 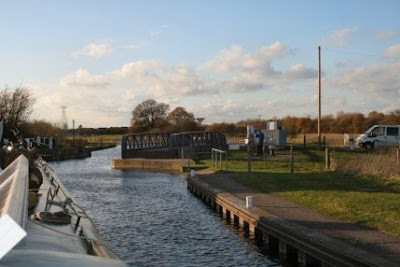 They withdraw across the canal at an angle. I have watched it do this several times and still can't quite make it out. After a piece of canal that Abz christened as the middle of nowhere you arrive at Crowle. It has changed quite a bit over the last year. Handy for catching a train though. Speaking of the train. 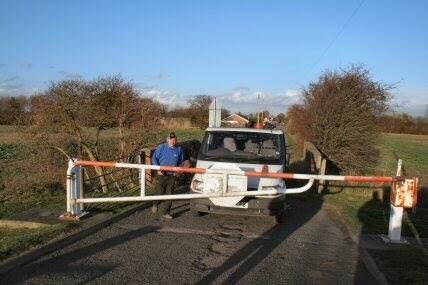 The line has been following us for some time now and as we reach Godnow Bridge we need the level crossing to be closed so that the bridge can be operated. 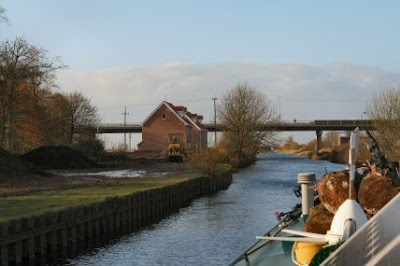 I have been going in front and mooring up, opening the bridge and letting Tim through and he then closes up behind me. 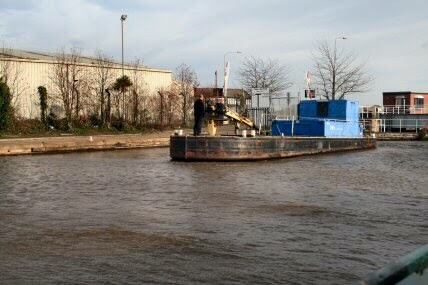 I worked quite well although on a number of occasions it took some effort to get of the mooring. At last the 'concrete mushroom' (the water tower) at Thorne comes into view at the end of another straight. 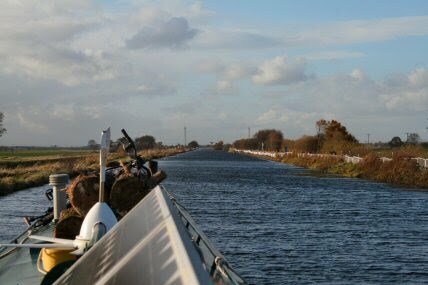 A lot of time was spent going sideways up the canal. The canal is higher than the farmland around here and the wind has little to slow it down. 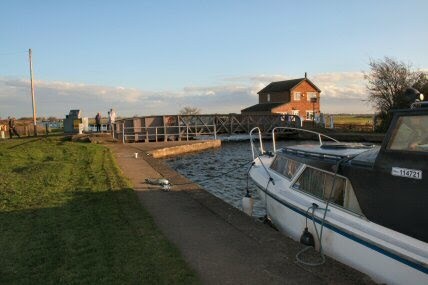 Everything was ticking over nicely and then Hadleigh messed it up :-) The Moors Swing bridge refused to work. 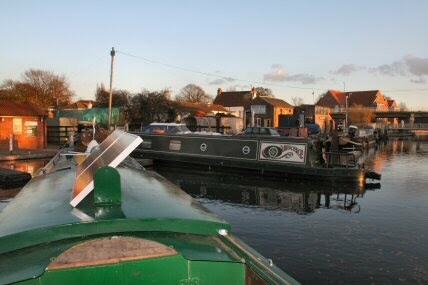 So we are moored on one side and Hadleigh is on the other. It looked OK but wouldn't do anything. They made a call to BW who promised to send someone out. Thats us for the day we thought. Very wrong. Within 20 minutes the cavalry arrived and within minutes he had reset the controls and the bridge did its thing. Just one bridge left and we are into the last straight. Almost home from home. The boats moored alongside Blue Water Marina. 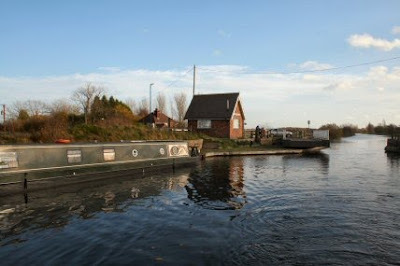 Was it my imagination or did Abigail Jenna try to go right and into the marina or was it the wind. Exactly a year since I moved on board here. 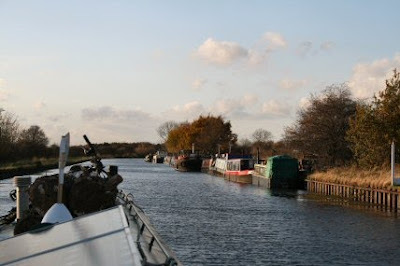 Tim pulled into the chandler to pick up gas while I turned and moved astern to the moorings. 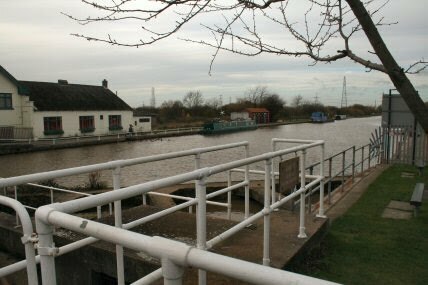 I had thought of staying there but as the last boat was 36 foot this time I stuck out rather a lot so moved a few yards further. 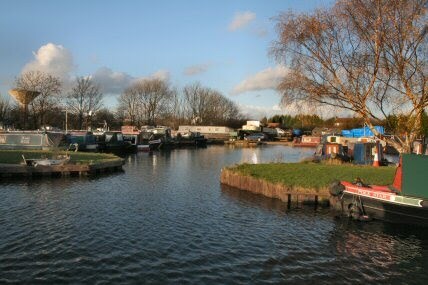 Off to Blue Water Marina tomorrow to see how the mooring situation as around here if I need to moor up in a hurry come December - January.